Note: On Kindle Countdown Dec 24-31, only 99 cents. 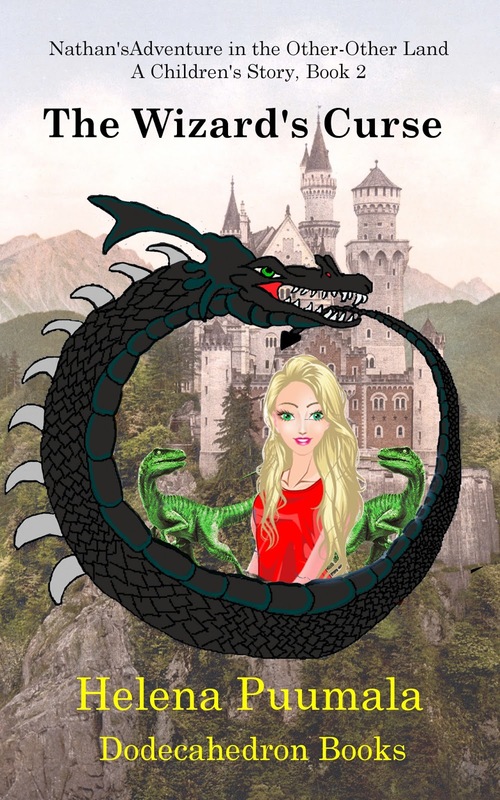 Helena Puumala has recently finished work on a second book in the children’s fantasy series, Nathan’s Adventure in the Other-Other Land, following the adventures of Nathan and his friends, as they travel to the Other-Other Land, through the magic mirror. With a new chapter of the story in the works, we have given the first book a new title, more in keeping with the series nature of the story. 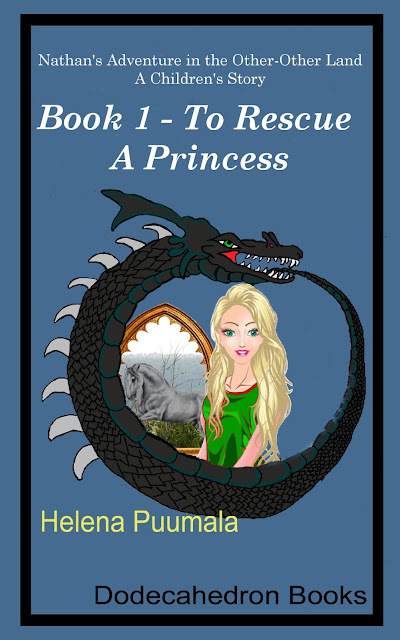 The new title is “To Rescue a Princess”, which is of course very descriptive of the main story arc of the first book of the series. We have also commissioned a new cover, with most of the picture elements due to artist Leona Olausen (who also did the cover for much of the Kati of Terra and The Witches’ Stones series). We hope that new cover reflects the spirit of the story as well. Note that that the text is unchanged, and the interior artwork by Jordan Lange is also unchanged. We are still working on the new edition of the paper book, but the new e-book is available on Amazon right now. Book 2 continues the adventures of Nathan and his friends, with much of the focus now on Princess Pepper, as she enlists the help of Nathan and his cousins, to overcome a curse which has been put on the land. This spell has resulted in a terrible drought throughout the country, which is slowly killing the land and its people. The Princess and her companions must also overcome many perils in their quest to overcome the Wizard’s Curse, including the emotionally jarring prospect of re-uniting with Pepper’s mother, who seemed to have abandoned her children at an early age. That book will be published within the next week or two, well before Christmas (Cover and Title are still under consideration).